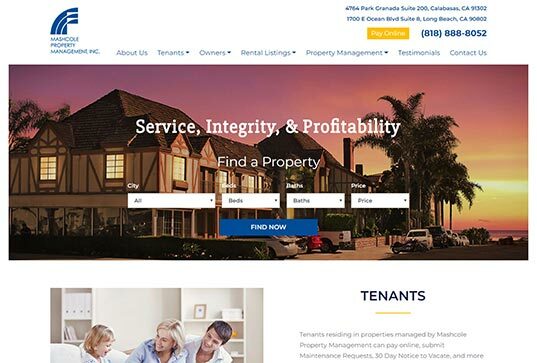 We have over 10 years of experience developing custom property management websites integrated with Yardi. Yardi Systems is one of the leading property management software providers for real estate clients worldwide. With a custom integration between your property management website and Yardi, your vacancies will be automatically updated. Additionally, you will have full control of how your rental units are presented to your audience, instead of having a generic widget page that redirects traffic to an external website. Yardi Genesis: Built for smaller clients. Yardi Voyager: Built for medium to large sized property owners, managers, and investors. Both platforms include accounting, operations, and ancillary processes with mobility for residential and commercial portfolios. Mashcole Property Management, Inc. has developed a complete set of services which enable property owners to dramatically increase the value and profitability of their assets. Let us show you what good property management is all about. From leasing to collections and maintenance, we offer complete and excellent property management services. Mabry Management has its roots going back to the early 1960’s. 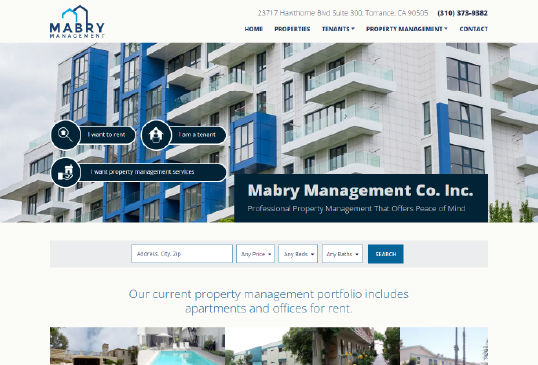 In 1973, Mabry Management Company, Inc. was formed to better reflect the growing property management business. 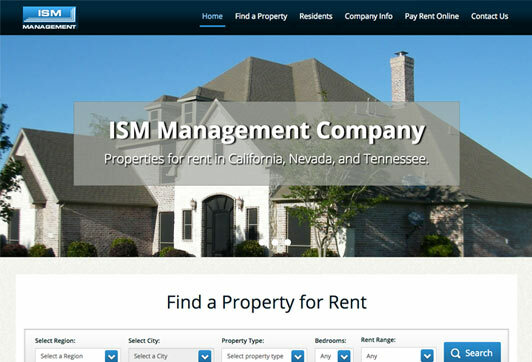 ISM Management Company is a property management firm with regional offices in Southern California, Northern California, Nevada and Tennessee. 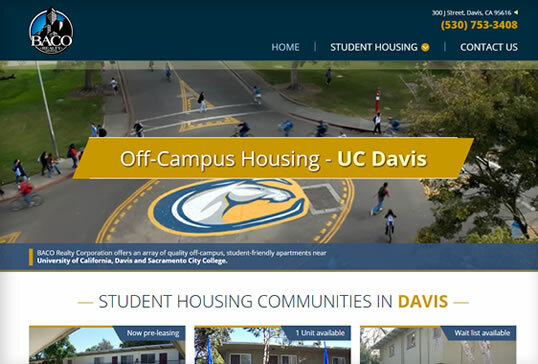 Our student apartments provide residents with the comforts of home, while in close proximity to UC Davis and Sacramento City College. 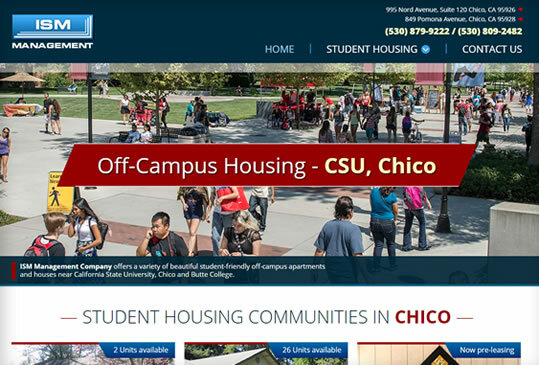 Our student properties provide residents with all of the comforts of home, in close proximity to CSU with numerous options in size and amenities to suit every student’s budget and Butte College. 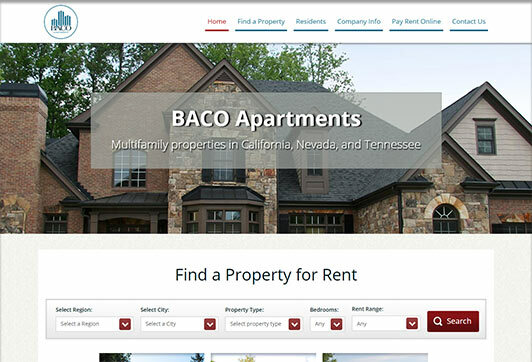 Ready to have or redesign your property management website? Get in touch today and schedule a meeting with one of our IT specialists. We are experts on creating websites that drive to success while maximizing our clients status and profitability.